Compliment any look with the robust good looks of this summer inspired Moroccan Paisley Necktie in a palette of orange sorbets. The handwoven and handcrafted paisley motif looks sensationally chic, tailored and exotic. 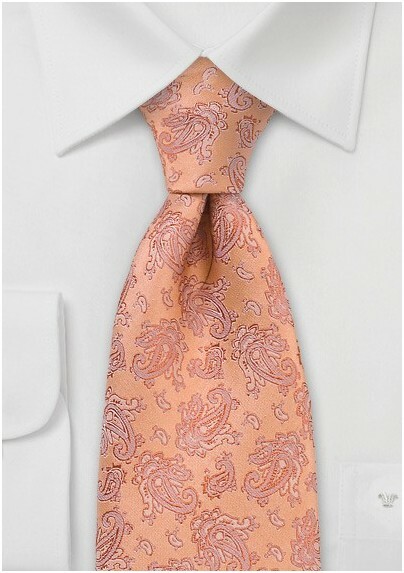 We love to see this tie paired with soft, lightweight tan hued cottons and chambray blues. 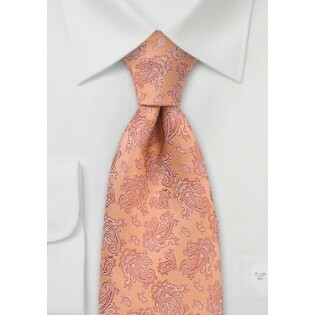 One of our favorite looks is seeing this tie paired with a light tan cotton blazer and dark denim jeans. Crafted from one hundred percent premium silk. Designed by the infamous Chevalier Fashion House.